Congrats to Shelly Faust! You won a copy of Emily's book!! O LORD God of Heaven’s Armies! Where is there anyone as mighty as you, O LORD? You are entirely faithful. Online Soli Sisters, can you find Jenny, Jean, and Jan? God showed up. He showed UP. My biggest fear concerning this whole grand adventure was that somehow it was all rooted in my pride and God was going to use it to make me fall flat on my face. But that was just a lie trying to thwart me from doing that which He has called me to do, which is to bring together women and create a community that recognizes how active and alive God is and how He desires us to walk together as sisters in Christ. Did you know you were part of this warmth? You were part of the nourishment, friends. Your prayers were felt at every turn -- through the logistics, through the worship, through the connecting and sharing that happened, and through each speaker. It wouldn't have been the same without you and I want to make sure that you know this. I saw this quote on Cindy Bultema's facebook page before the retreat and this weekend, I saw it lived out. I think everyone in attendance would say that their seed casing was split open this weekend. I think they would say that their roots grew deeper not only in their relationship with God, but with each other. It is no small coincidence that these things happened at the same time because when we walk together in His Love, the Truth is always so much closer, isn't it? Because we help each other remember what He has done for us in the past. Because we speak His Words into each other's hearts when the lies seem to overtake. Because when we pass the tissue box, we often grab one for ourselves. We weep with those who weep. We mourn with those who mourn. And then, we rejoice with those who rejoice. Because we remember to pray. We recognize our own limitations so we travel with our sweet sister as she brings her burden to the foot of the cross. And we help her to leave it there. God is entirely faithful. He started a good work with this group that is Soli Deo Gloria and He will see it to its completion. He has set us upon a path and He is with us. Thank you, Soli Sisters, for being a precious part of this journey. I could not have done it without you. I have more stories to tell, but you can read Jennifer Luitwieler's reflection here. I'll be processing this retreat with y'all over the next few weeks. 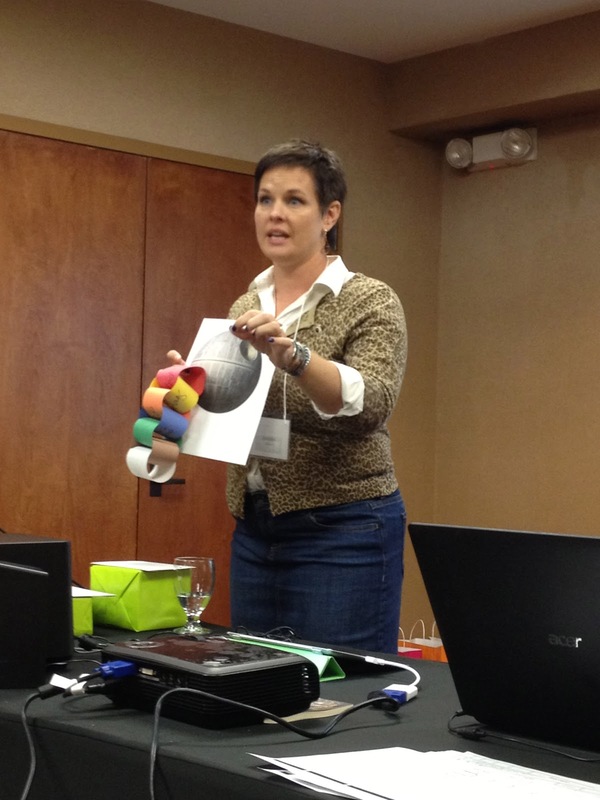 Jen's teaching: Are you chained to the death star or to the cross? To purchase Jennifer Luitwieler's book, click here. And this is the post I've been waiting for, but I'm not reading it yet...off to bed. Will read in the morn! What a beautiful blessing, to see Him work, all in community, with open hands. I am so thrilled to hear how well it all went. Awesome! Thank you so much for your heart for community, Jen. The seed splitting and roots growing from the center - I love the visual of how we need to reach out! What a blessing is the realization - yes, God wanted me to do that! So happy to hear that God showed up in tremendous ways! Wish I could have been there or at least a fly on the wall. What a wondrous adventure you all had as GOD brought glory to His Name through you all! I have been looking forward to hearing about the retreat. SO glad it went well....prayed for you and thought about you. and i admit to the teensiest bit of envy. Okay...God showed up. Then it was worth showing up! Yay God (even though I couldn't be there :+) Love that. Also love the seed sprouting definition. Thank you for being faithful to the Lord's call in this SDG ministry on-line. PS - I saw Jean! That's been another blessing you've given me - the SDG small groups. Never felt the sense of online community until that point. You go, girl! Lovely photo and post of what sounds like a lovely, God-filled meeting! Thanks for hosting & God bless! I know this photo! Jen I love your passion for community building. God has called you to a special role in that. Would have loved to have been there! Maybe next time? So glad to read that the retreat went well. You bless! Love to you Jen!